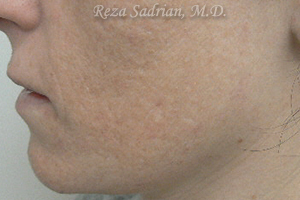 Seeking to improve her image, this patient underwent a Microlaser Peel with Suzanne our Registered Nurse, Certified Laser Nurse Specialist. 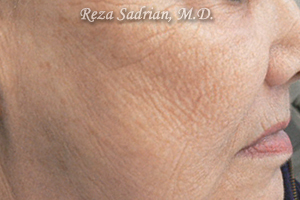 The Microlaser Peel is the latest advancement in skin resurfacing. 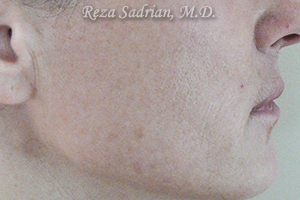 This advanced Sciton laser skin rejuvenating treatment precisely removes the outer most layer of skin. 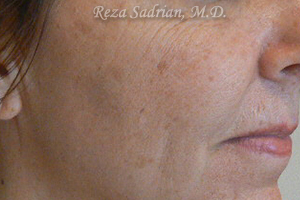 This removal of the dead layer and the thin layers of the epidermis helps smooth the skin’s surface while blending irregular pigmented age spots at the same time. This state-of-the-art laser treatment is designed for individuals with active lifestyles who are seeking significant improvement in skin texture, color and tone.